We are hearing more and more about companies doing their part to help the environment and Organically Grown is no exception. This is a young and innovative company who are the makers of safe, stylish and organic products from clothing to home decor. They believe in making our world a better place to live in and have taken steps to make a difference. Their apparel is made from only organic cotton grown by pesticide free plants which are not genetically modified as so many are these days.I found it interesting to learn that there is a direct connection with the clothes we all wear and Mother Earth. In fact according to the Organic Exchange, 170 million pounds of pesticides and 25% of the world’s insecticides are used in the production of conventional cotton. And it gets worse, 7 out of 10 of these insecticides are on the EPA’s list of likely carcinogens! Eek! It definitely makes me more conscious of the clothing I wear and how I dress my children! As a mom, I like that Organically Grown only uses 100% pure organic cotton. I received three baby outfits for the giveaway. Not only are they incredibly soft to touch, but also super adorable too! 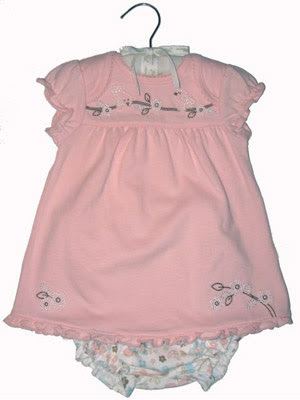 Their new line of high quality baby clothes are affordably priced and ranges from $20 to $38. I always figured organic clothing would be costly and was happy to find out how affordable this line is! 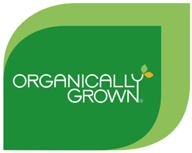 You can find Organically Grown Baby at Babies R Us, Macy’s, Lord & Taylor, Buy Buy Baby, Dillards, and now Sears. Besides baby apparel, Organically Grownhas a wide range of products including kids clothes, women’s clothes, bed & bath products, home decor, personal care products and household cleaners. This is one great company and I love what they stand for. I definitely recommend Organically Grownbaby clothes and think they would make a great gift or to wear on your own baby. You can trust that the clothes are safe, affordable and so sweet!